Turmeric is a very common herb and the most powerful, too. The golden colored spice has a pepper-like aroma and sharp taste. Turmeric’s use is not only limited to adding flavor to many dishes but Turmeric benefits your health too in numerous ways owing to its rich nutrient content. Turmeric spice contains the healing compound, Curcumin, and studies have proved that it is more advantageous than many prescription drugs. Turmeric is an effective disinfectant and can be used as a natural antiseptic and antibacterial agent. In case you get a cut or burn, sprinkling turmeric powder on the wound helps it to heal faster. It may be used in psoriasis treatment or to assist in repairing damaged skin. Turmeric contains lipopolysaccharide and antibacterial, antiviral and anti-fungal agents which helps boost the immune system and provide protection against colds, coughs, and flus. A person with a stronger immune system has a lesser chance of being affected with viral diseases. In the case of cold and cough, regularly drinking warm milk mixed with a teaspoon of turmeric will help with the infection. 2Turmeric moderates insulin levels and increases the effect of medications used to treat diabetes. Research also suggests that taking turmeric could treat and prevent diabetes. Other studies suggest that turmeric extract could help stabilize blood sugar levels and make diabetes more manageable. Turmeric can treat osteoarthritis and rheumatoid arthritis with its anti-inflammatory properties. It also destroys free radicals in the body which damage the body cells. It has been observed that people suffering from rheumatoid arthritis can get relief from joint pains to a greater extent if they consume turmeric regularly. Turmeric helps to prevent prostate cancer. It also stops prostate cancer cell growth and destroys cancer cells. According to research, turmeric is one of the best protectors against tumors caused by radiation. The spice can reduce serum cholesterol levels. It helps to maintain a proper cholesterol level and prevents many cardiovascular diseases and cholesterol-related serious health problems. One of the major cause of Alzheimer’s disease is brain inflammation. Turmeric helps to remove the build-up of plaque in the brain and improves the flow of oxygen, which helps in slowing down Alzheimer’s disease. Turmeric increases the flow of bile, which in turn helps to break down fat cells stored in the body. It helps to achieve and maintain the perfect body weight. It is suggested to have one teaspoon of turmeric powder with every meal. Turmeric energizes the gallbladder to produce bile which improves digestion. It also reduces symptoms of bloating and gas. In case of any digestive problems turmeric must be consumed in raw form to reap maximum benefits. Turmeric has the ability to manage pain. In addition to treating diabetic pain conditions, it also treats a wide array of other pain conditions. Because of turmeric’s s anti-inflammatory benefits it can be used to treat severe burns instead of using dangerous anti-inflammatory medications. Some symptoms like chronic inflammation of the eye which was commonly treated by using steroids, can be now be cured with curcumin. Curcumin has a good ability to control inflammation. Oncogene published the results of a study stating that among all the anti-inflammatory medications in the world, aspirin and ibuprofen are the least effective, while curcumin is the most effective. Inflammation causes diseases like cancer, ulcerative colitis, arthritis, high cholesterol, and chronic pain. 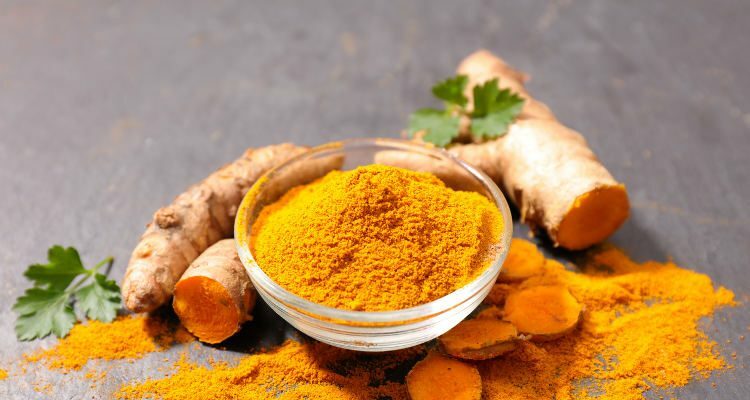 There hasn’t been much research conducted on humans, however, studies on animals have proved curcumin is effective in reducing depression symptoms. Apparently, curcumin is as effective as Prozac in managing depression. The medicines used to slow and prevent blood clotting like aspirin, clopidogrel, diclofenac, enoxaparin, and ibuprofen have dangerous side effects like excessive bleeding, hemorrhage, back pain, and headaches. With arthritis drugs (diclofenac sodium), people may develop a leaky gut and heart disease, whereas with curcumin, treatment is safe and doesn’t have any adverse side-effects. The countless benefits of curcumin helps to treat people suffering from different types of arthritis. People taking medications and anti-coagulants like aspirin, clopidogrel, and warfarin must be careful about using turmeric in their food or supplementing with it. It also affects medications such as non-steroidal, anti-inflammatory drugs. Those taking prescribed medication should include ample amounts of fresh, organic turmeric into their diets to reduce the adverse effects of such medicines. Purée orange, carrot, mango, coconut water, hemp seeds, ginger, turmeric, cayenne, salt, and a half cup of ice in a blender until smooth. Serve in tall glasses. Whisk together milk, turmeric, ginger, lemon juice, cardamom, palm sugar, and salt in a small bowl until sugar and salt have dissolved. Let it stand for five minutes for the flavors to meld. Strain through a fine-mesh sieve into a cup, and extract juices by pressing on the solids and discard the solids. Fill a glass with ice. Pour latte over and serve with lemon wedge. Gently press oregano and thyme with a wooden spoon to release oils. In a medium saucepan heat herbs, ginger, turmeric, peppercorns, and eight cups of water until an instant-read thermometer reads around 130°. Do not boil. Reduce the temperature to low and let mixture steep six minutes. Add almond milk, garlic, honey, and citrus juice, and stir to dissolve honey. Strain in a pitcher and press the herbs to extract the juices. Serve hot. Turmeric tea benefits the immune system. The spice can also be taken in form of supplements, but it is always best to consult your doctor first.